Do you like gardening? Have you ever noticed how the type of soil and weather conditions are extremely important for your harvest? It’s the same for a vineyard. 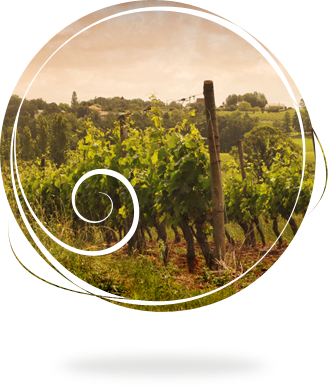 Luckily, the Bergerac terroir boasts a mosaic of chalky-clay and gravelly soils on the south-west edges of the Massif Central and the different grape varieties flourish here. Why don’t you learn how to recognise these terroirs! The earth of clay-chalky soils is a little heavy and studded with white stones that can be hard or soft. A real wine-maker’s dream: balanced soil that combines the freshness of clay with the filtrating properties of chalky stones. A perfect partner for Merlot. The result is round, fine wines with the guarantee of all the fruit. In clay-gravelly soils, you will find clay and hard, round stones brought by the currents of rivers and streams. Merlot and Cabernet Franc grow perfectly in these soils, producing elegant and powerful wines. Duras’ subsoils are on the prolongation of the Graves, the subsoils of Bordeaux. They are composed of marine and fluvial sediments such as heavy and sticky clays called “Boulbènes” in the lower parts and the south of the vineyard; as well as marls and molasses & limestone and clay-limestone at a higher altitude. Although Duras is known for its reds which constitute the majority of its production, it appears it also makes excellent white wines and for good reason: Duras’ subsoils of molasses and boulbènes are clearly suitable for the cultivation of white varieties. The persistent cultivation of red grapes on a land that is clearly favourable to the development of white grapes is certainly due to the rebellious nature of our winegrowers! 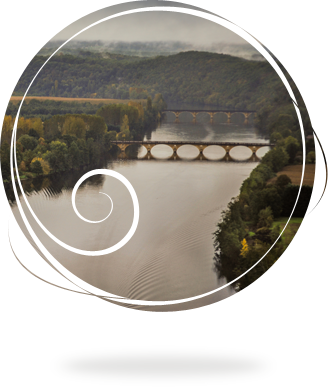 Without the Dordogne river, the Bergerac wine area would not be! This water route has been used since the 12th century, as merchants saw it as an opportunity for making business with England. The terraced vineyards slope up above its valley, and are divided into several areas. On the right bank of the Dordogne, the terraces mostly consist of gravel, sand and alluvium. The left bank, which is the sunny side, presents a more dramatic landscape, with a succession of slopes where limestone or clay-limestone prevails. 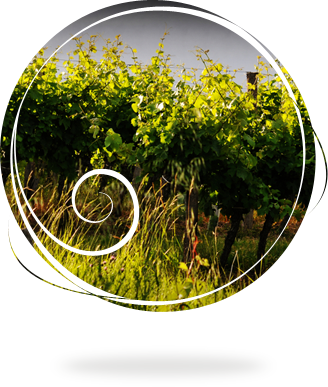 Bergerac boasts all ideal conditions for great wine: the warm weather of Aquitaine tempered by the cool river; rocky or soft limestone soils – poor enough to enhance the richness of the wine, as it requires effort and pain from the vines, with the result of rarely-tasted aromas. The vineyards of Monbazillac and Saussignac thrive on the cool morning mist diffused by the Dordogne, which is necessary to the elaboration of exceptional dessert wines. The wealth of nature would not mean anything however, if it wasn’t for people’s skills, in the way they combine soil and choice of grapes, and the way they delicately tend to the vines, added to their art of wine making and aging.